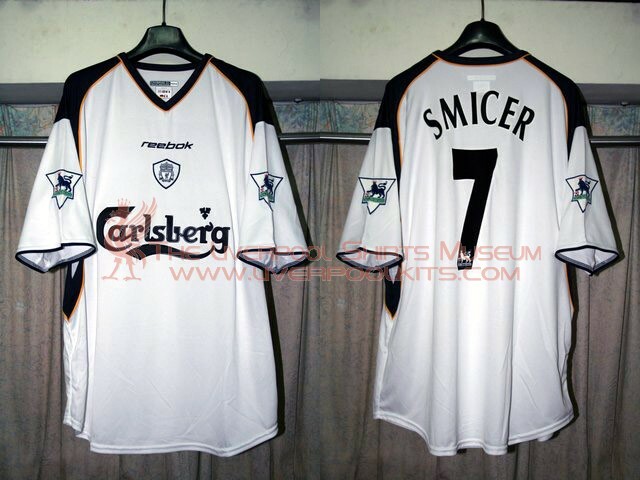 In season 2001-2002, Liverpool used a white away shirt with black Carlsberg sponsor. 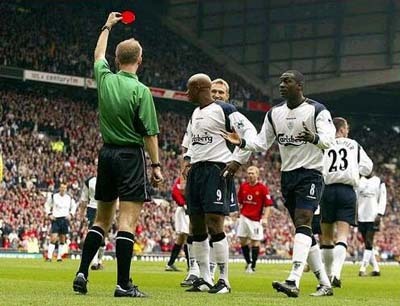 As usual, player shirts as used in the domestic competitions have a much bigger Carlsberg sponsors than the replicas. 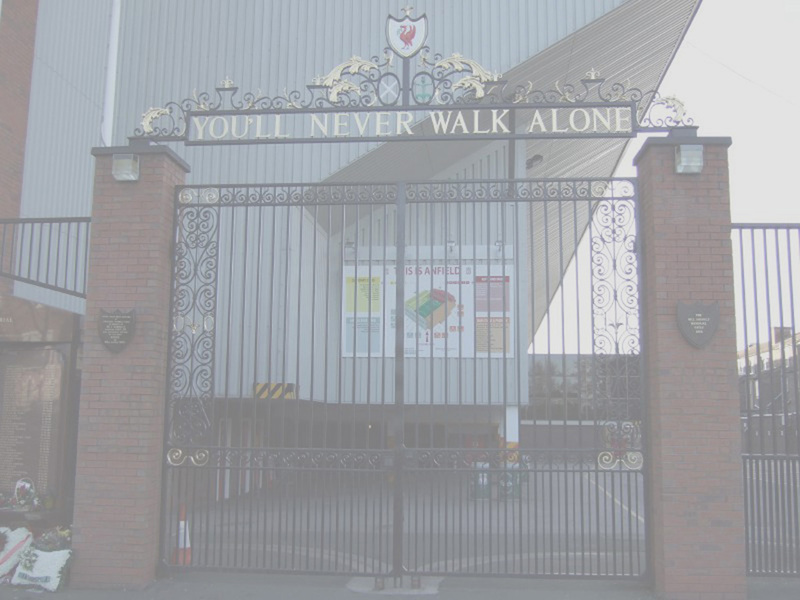 Featured Liverpool players wearing the 2001-2002 long sleeved away player shirt. 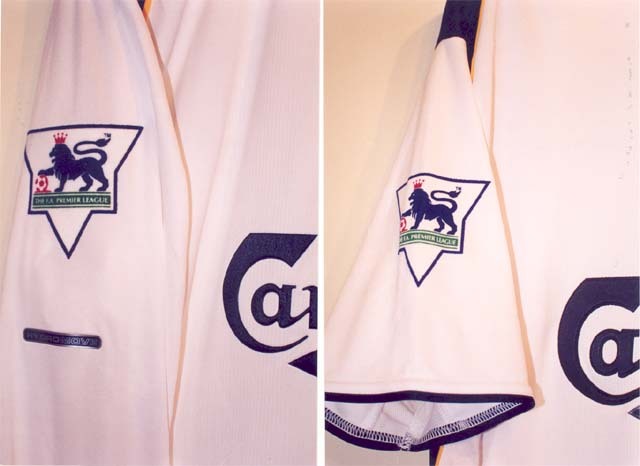 However, when the two shirts are placed together, you may recognize that the Carlsberg on the replica shirt (upper one) is much smaller than the player shirt (lower one). 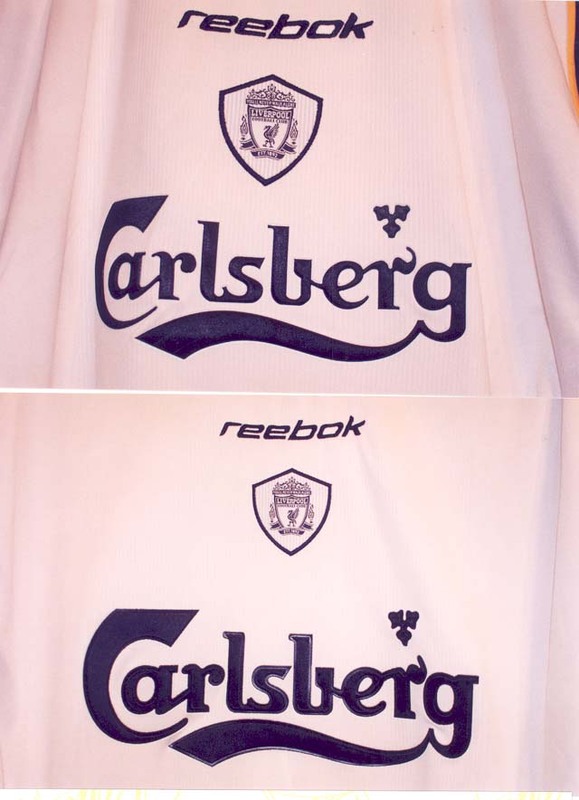 When the replica (upper portion) is compared with the player shirt (bottom portion) individually, you may not recognize the difference in size in the Carlsberg sponsor. 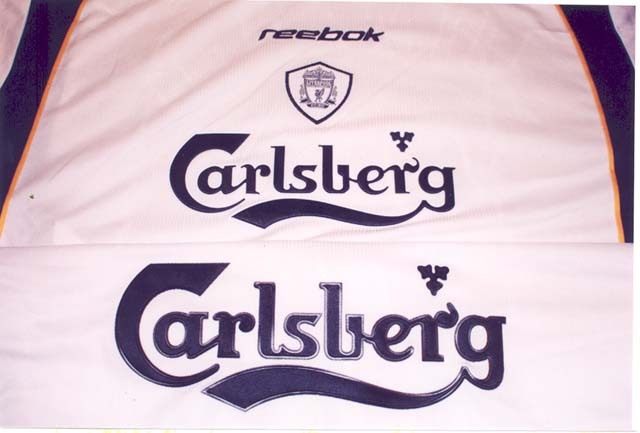 Besides the size difference of the Carlsberg sponsor, a hydromove tag is only found on the right sleeve of a replica shirt (left portion) but not player shirt (right portion).